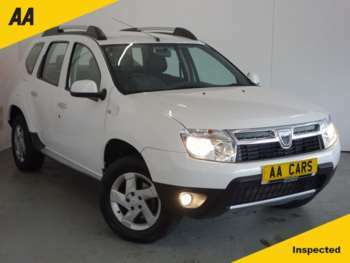 It might take you a while to stop associating the Dacia Duster with a boring household chore, but once you do you'll be able to get to grips with this bargain-basement SUV which is described by its manufacturer as being shockingly affordable. 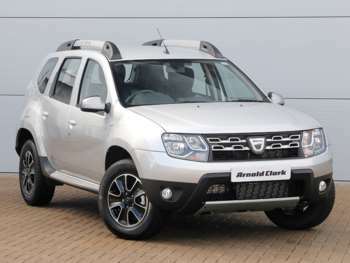 Dacia is a Romanian firm which first started selling the Duster in Europe back in 2010 after launching it domestically in 2009. 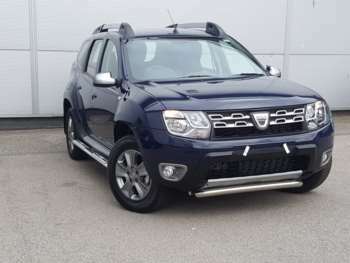 The Duster didn't arrive officially in the UK until 2012 so it is a relatively recent addition to our shores, which perhaps gives you all the more reason to give it the benefit of the doubt. It's useful to get a bit of background on Dacia itself, which has actually been owned by Renault since 1999 and is thus heavily influenced by its French parent company. 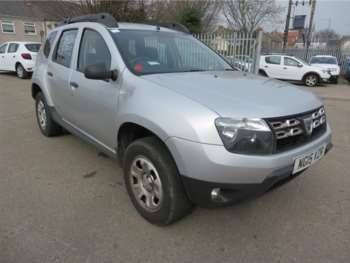 What you get with modern examples like the Duster is Renault's underpinnings topped off with Dacia's own external design, which is definitely a positive aspect to add to the cheap asking price. 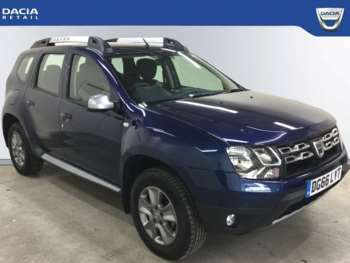 The base model Dacia Duster comes with standard 2WD, although there is always the 4WD option available if you want to spend a little more and up its off-road credibility. You can choose from the 1.6 litre petrol engine or a 1.5 litre diesel power plant, the latter of which is the more desirable option because it has bags more torque to bring to the table. On the outside the Duster is a cute looking car, with nicely rounded edges and a perky rear that makes it look ready for anything. You'll doubtlessly go searching for the areas in which compromises have been made when scrutinising the interior, but really there is little to suggest that this is a supremely cheap vehicle. The dash and trim have been well put together and while it might lack the sheen of costlier rivals, it cannot be faulted for practicality. In the rear you get a healthy 475 litre boot, although if you pick the 4WD version then this is cut to a little over 400 because of the edition of a full sized spare wheel which comes as a necessity. 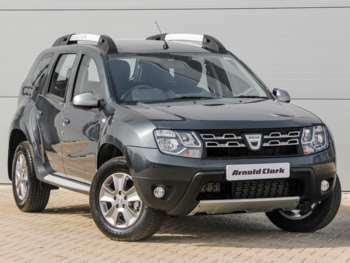 The rear seats can be folded down to increase the luggage capacity to 1636 litres, although if you want split rear seats then this is an optional extra available on the higher end models but not the basic Dacia Duster. Comfort levels are good and there is plenty of legroom and headroom for passengers, which is what you would expect from one of these modern SUV crossovers. 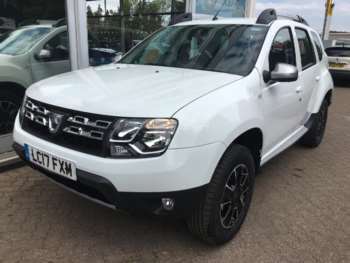 The Dacia Duster's new price starts at just £9000 and so any used examples which start trickling into the market should also be at the affordable end of the scale. 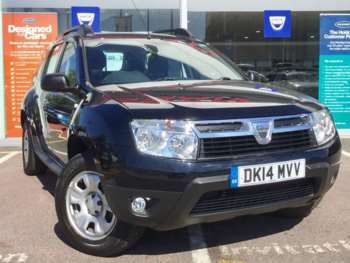 Given that you'll pay anywhere from £15,000 to £30,000 or more for one of its rivals, the Duster is a real steal whether you buy new or wait for a second hand edition. 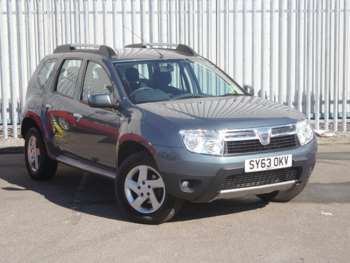 The approved used Dacia Duster may be cheap as chips but with Renault's backing it is not going to be a ragged, ready to fall apart banger. This means you should always look out for a full service history and any of the accompanying documentation that this might entail. 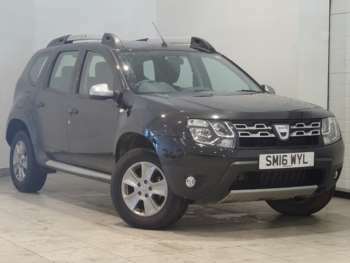 The Duster comes with a standard three year warranty, although you can pay for five or seven year coverage if you think this will be useful. This shows a degree of savvy in the pricing of this model that should be respected. Repairs and replacement parts should be affordable whether you get the extended warranty or not, which is good news. If you pick the 4WD Duster then it is nice to see that the driver has the ability to choose the setting they most desire to be used at any particular time. It can be left in 2WD mode for normal conditions, put in Auto when things get a bit slippery or placed in full Lock mode when you decide to actually tackle some rough stuff off-road. There isn't bags of power on offer with the Duster but the diesel engine does a decent job of lugging it along when gravity and unstable surfaces might have other ideas. 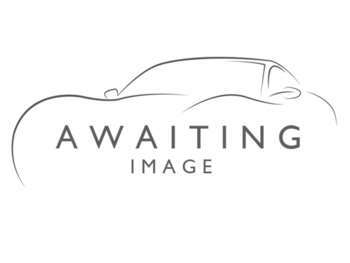 Got a specific Dacia Duster model in mind?